^ 大公報：歐盟整合難成“強勢第三極” (新闻稿). 2009年11月2日 [2009年11月3日]. ^ 捷克簽了《里斯本條約》 (新闻稿). 2009年11月4日 [2009年11月3日]. ^ Herman Van Rompuy, Belgium's reluctant Prime Minister, is an unexpected first President of the European Union (新闻稿). 2009年11月19日 [2009年11月19日]. ^ Baroness Ashton chosen as EU's foreign policy chief (新闻稿). 2009年11月19日 [2009年11月19日]. ^ Große Mehrheit für den Vertrag von Lissabon (新闻稿). Press Office of the Parliament of Austria. 9 April 2008 [10 April 2008] （德语）. ^ PK0365 | Bundesrat gibt grünes Licht für EU-Reformvertrag（PK0365/24.04.2008）. Parlament.gv.at. 2008-04-24 [2017-05-23]. ^ Belgian senate approves EU's Lisbon treaty. EUbusiness.com. 6 March 2008. ^ Kamer keurt Verdrag van Lissabon goed. De Morgen: 1. [11 April 2008] （荷兰语）. ^ Fiche du dossier. Sénat de Belgique. [10 July 2008] （法语）. ^ Parlement wallon CRA 14 mai 2008 (PDF). Parlement wallon: 49. [19 May 2008] （法语）. ^ Parlement wallon CRA 14 mai 2008 (PDF). Parlement wallon: 50. [19 May 2008] （法语）. ^ Compte rendu intégral de la séance du mardi 20 mai 2008 (après-midi). Parlement de la Communauté française: 32. [21 May 2008] （法语）. ^ Compte rendu intégral de la séance du vendredi 27 juin 2008 (après-midi) (PDF). [3 July 2008] （法语）. ^ French language group: 56 yes, 5 no; Dutch language group: 10 yes, 5 no; CRI IV (PDF). [3 July 2008] （法语及荷兰语）. ^ 21.0 21.1 Plenaire Vergadering van 10-07-2008. [10 July 2008] （荷兰语）. ^ AFP: "Cyprus ratifies EU treaty" 互联网档案馆的存檔，存档日期2009-02-26.. Retrieved on 3 July 2008. ^ Press and information office. Retrieved on 10 October 2008. ^ EU Dodges Constitutional Hurdle as Czech Republic Backs Treaty. Bloomberg. 18 February 2009 [18 February 2009]. ^ Czech lower house passes Lisbon treaty. ČeskéNoviny.cz. 18 February 2009 [18 February 2009]. ^ Czech Senate passes Lisbon treaty. Czech Press Agency. 2009-05-06 [2009-05-06]. ^ Klaus signs Lisbon treaty after Czech court's verdict. Czech Press Agency. 2009-11-03 [2009-11-03]. ^ Czech PM brings Lisbon treaty to Rome ending ratification process. Czech Press Agency. 2009-11-13 [2009-11-13]. ^ Lov om ændring af lov om Danmarks tiltrædelse af De Europæiske Fællesskaber og Den Europæiske Union. retsinformation.dk. 30 April 2008 [12 July 2008]. ^ Parliament of Estonia. Riigikogu.ee. [2017-05-23]. ^ Finland ratifies EU's Lisbon Treaty 互联网档案馆的存檔，存档日期2009-06-15. ^ Assemblée nationale - Analyse du scrutin n°83 - Séance du : 07/02/2008. Assemblee-nationale.fr. [2017-05-23]. ^ Sénat - Compte rendu analytique officiel du 7 février 2008. Senat.fr. [2017-05-23]. ^ Deutscher Bundestag: Fehlermeldung. Bundestag.de. [16 September 2008]. （原始内容存档于2006年2月20日）. ^ Deutscher Bundestag: Ergebnisse der namentlichen Abstimmungen 互联网档案馆的存檔，存档日期2009-08-05. ^ Honor Mahony. EUobserver.com. Euobserver.com. [16 September 2008]. ^ Report of "der Spiegel" about the Bundesrat vote. Spiegel.de. 2008-05-23 [2017-05-23]. 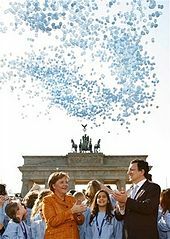 ^ German president clears way to OK Lisbon treaty. Taiwan News. 2009-09-23 [2009-09-23]. ^ Germany finalises ratification of Lisbon Treaty. Independent.ie. 2009-09-25 [2009-09-25]. ^ Greek Parliament ratifies Lisbon Treaty. Athens News Agency. 14 September 2008 [11 July 2008]. ^ Az Európai Unióról szóló szerződés és az Európai Közösséget létrehozó szerződés módosításáról szóló lisszaboni szerződés kihirdetéséről. Hungarian National Assembly. [29 September 2008]. ^ 49.0 49.1 Twenty-Eighth Amendment of the Constitution (Treaty of Lisbon) Bill 2009. Office of the Houses of the Oireachtas. [10 July 2009]. ^ President will sign Lisbon Treaty legal documents on return to Ireland. Irish Times. 2009-10-15 [2009-10-15]. ^ Italy's Senate approves EU treaty. eubusiness.com. 23 July 2008 [25 July 2008]. ^ Italian MPs give thumbs-up to EU's Lisbon treaty. FOCUS Information Agency. [30 July 2008]. ^ Atti firmati; Settimana 28 Luglio - 03 Agosto 2008. Quirinale. 5 August 2008 [5 August 2008]. ^ Latvia, Lithuania ratify Lisbon treaty. The Irish Times. 8 May 2008 [8 May 2008]. ^ Lithuania ratifies Lisbon treaty. RTE. 8 May 2008 [8 May 2008]. ^ Lisbon Treaty is another step forward on the European road, says the President (新闻稿). 14 May 2008 [11 July 2008]. ^ EUbusiness.com - Luxembourg is 15th EU state to ratify treaty in parliament 互联网档案馆的存檔，存档日期2009-01-09. ^ Approbation du Traité de Lisbonne du 13 décembre 2007 (新闻稿). [14 August 2008]. ^ Legal Notices; 5th February (PDF). Government of Malta. 5 February 2008 [5 February 2008]. ^ It follows from the official parliamentary report that following the vote, the chairwoman has stated (translation) : "I notice that the Members of the parliamentary groups of PvdA, GroenLinks, D66, VVD, ChristenUnie and CDA who are present have voted in favour and that those of the other parliamentary groups have voted against; the Bill has therefore been adopted." ^ Staatsblad 2008, number 301 of 24th of July 2008. Overheid.nl. [2017-05-23]. ^ Elitsa Vucheva. EUobserver.com. Euobserver.com. [16 September 2008]. ^ （in Polish）o ratyfikacji Traktatu z Lizbony zmieniającego Traktat o Unii Europejskiej i traktat ustanawiający Wspólnotę europejską, sporządzonego w Lizbonie dnia 13 grudnia 2007 r. 互联网档案馆的存檔，存档日期2009-03-25. ^ President of Poland signs Lisbon Treaty. Telegraph.co.uk. 10 October 2009 [10 October 2009]. ^ Pursuant to the Constitution, the ratification occurred in a joint session of both houses. ^ Romanian parliament ratifies Lisbon Treaty. News.xinhuanet.com. 2008-02-05 [2017-05-23]. ^ Proiect de Lege pentru ratificarea Tratatului de la Lisabona de modificare a Tratatului privind Uniunea Europeană şi a Tratatului de instituire a Comunităţii Europene, semnat la Lisabona la 13 decembrie 2007. Camera Deputaţilor. 12 February 2008 [7 July 2008]. ^ Lucia Kubosova. EUobserver.com. Euobserver.com. [16 September 2008]. ^ Slovenia ratifies Lisbon treaty : Europe World. Earthtimes.org. [2017-05-23]. ^ AFTER IRISH‘NO’: Spanish Congress ratifies Lisbon Treaty. Newstin. 26 June 2008 [27 June 2008]. （原始内容存档于2015年7月4日）. ^ UE.- El Senado celebrará un pleno extraordinario el 15 de julio para completar la ratificación del Tratado de Lisboa. ^ Ja till Lissabonfördraget, TT via Aftonbladet, November 20, 2008. ^ EU treaty bill clears the Commons. BBC News. 2008-03-11 [2017-05-23]. ^ The House of Lords approved the treaty bill without a division, after a procedural motion to defer consideration of the bill due to the negative Irish referendum on the Treaty was defeated by 277 votes to 184. House of Lords debates, vol. 702 cols. 1030-1099（18 June 2008）, the vote on procedural motion is at col. 1069. ^ Philippa Runner. UK ratifies Lisbon Treaty ahead of EU summit. EUobserver. 19 June 2008 [19 December 2008]. ^ Lords Hansard. Publications.parliament.uk. 2010-04-21 [2017-05-23]. ^ Department of the Official Report (Hansard), House of Commons, Westminster. Written Ministerial Statement by Jim Murphy MP confirming the UK's Ratification. Publications.parliament.uk. [2017-05-23]. ^ The European Parliament's vote is advisory only and has no legal basis. If the Lisbon comes into force the Parliament's consent will be required for future treaty changes. ^ European Parliament approve EU's Lisbon Treaty 互联网档案馆的存檔，存档日期2009-03-18. ^ The Åland Islands are an autonomous province of Finland. It is part of the European Union, but is subject of certain exemptions. Åland Islands Parliament ratification is not necessary for the Treaty to enter into force, but is needed for its provisions to apply on the territory of the Åland Islands. ^ （芬兰文） Ahvenanmaa äänesti Lissabonin sopimuksen puolesta. Helsingin Sanomat. [25 November 2009]. ^ It has been decided that when Lisbon treaty will come into force those member states that will have gained more seats will elect their extra MEPs while Germany will retain the current（i.e. 99）number of MEPs until the Parliament term expires. As it's expected that Croatia and other countries might join the Union before 2014 (thus gaining the right to elect at least 6 MEPs) the apportionment set out above might be changed before next European Parliament elections. ^ 96.0 96.1 Europa website. SCADPlus: The Institutions of the Union. [10 Nov 2009]. （原始内容存档于2009-12-21）. ^ Peers, Steve. EU Reform Treaty Analysis no. 2.2: Foreign policy provisions of the revised text of the Treaty on the European Union (TEU) (PDF). Statewatch. 2007-08-02 [10 Nov 2009]. ^ Peers, Steve. EU Reform Treaty analysis 1: JHA provisions (PDF). Statewatch. 2007-08-02 [10 Nov 2009]. ^ Honor Mahony. EU leaders scrape treaty deal at 11th hour. EU Observer. 23 June 2007 [9 Nov 2009]. ^ Draft Reform Treaty – Projet de traité modificatif. Council of the European Union. 24 July 2007 [24 July 2007]. ^ Ireland has a diplomatic victory but the real winner is Europe. 12 December 2008. ^ Article 7 shall be amended as follows:（a）throughout the Article, the word "assent" shall be replaced by "consent", the reference to breach "of principles mentioned in Article 6 (1)" shall be replaced by a reference to breach "of the values referred to in Article 2" and the words "of this Treaty" shall be replaced by "of the Treaties"
^ consolidated text. Consilium.europa.eu. [2017-05-23]. ^ Presidency Conclusions Brussels European Council 21/22 June 2007 (PDF). Council of the European Union. 23 June 2007 [4 November 2009]. ; Honor Mahony. Stakes high as EU tries to put 2005 referendums behind it. EU Observer. 21 June 2007 [4 November 2009]. ^ Honor Mahony. EU treaty blueprint sets stage for bitter negotiations. EU Observer. 20 June 2007 [4 November 2009]. ^ Article 222 of consolidated "Functioning of the European Union"
^ "Draft Reform Treaty – Projet de traité modificatif". [2009-11-03].